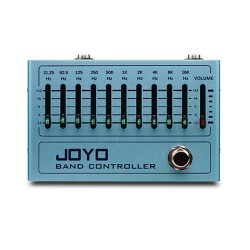 The JOYO multifunctional wah pedal has two modes and a Q control for adjusting the frequency of the Wah Pedal. The multifunction Wah pedal features both wah wah and volume functions. 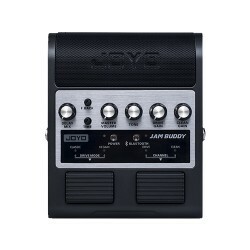 The JOYO multifunction wah pedal has a small footprint so it wont take up so much room on your board. We designed it to be not too small, or too big. It has two modes to select from, on the side the flip switch, Q control and Q value give you full control over your wah filter. 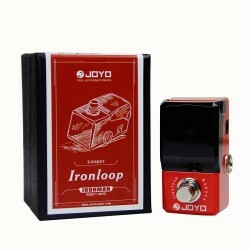 Not only do you wait for a wah pedal from JOYO, but then 2 come along at once. The multifunction wah (wah 2) has all the features of Wah 1 classic, but features a Q value knob, adjusting the wah centre frequencies. Prepare to get geeky, let me try and explain the Q value control. The Q controls the resonance of the mid range of the wah, turn it up high the Q produces in a higher frequency Quack, scale back the Q, a low flatter quack. The Q adjusts the EQ mid range frequencies, imagine a hill, the steepness of the slope, the steeper the sides increase the mids in the wah sound. 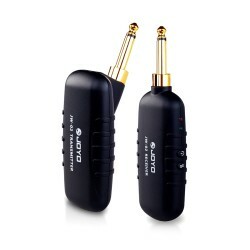 The overall frequency range can be adjusted further with the Q selector, giving you a very versatile range in the Wah Quack Frequency (WQF is a technical term we just invented). The adjustable WQF makes the multifunctional wah 2 pedal sounds great. Wah/Bypass - When the wah pedal is active the LED glows to show you the wah mode is on. 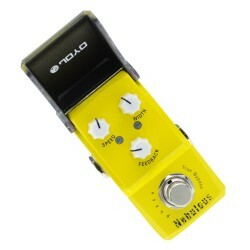 The Wah pedal gives classic controls, down (forward) for treble, back off for lower frequency. 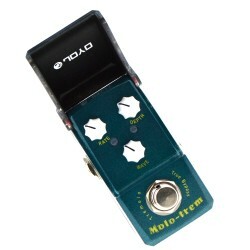 A press down of the pedal switches you to by pass mode, where volume is full. 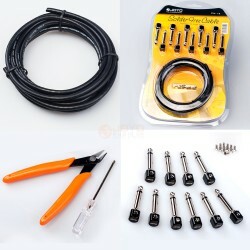 In bypass mode, the pedal is True bypass, the mode is activated to ensure no volume or tone is lost in the transmission. Wah/Volume - When the wah pedal is active the LED glows to show you the wah mode is on, a press down of the pedal switches you to by pass mode. The volume wheel on the side of the pedal allows you to set a minimum volume for the pedal when rocked back. This is a great feature enabling you to adjust your for introducing sweeps and greater accuracy when using. Toe down (forward) to increase, back off to wind the volume back to your set minimum level. The pedal features RM shielding, a Green Led when active. Constructed of a solid metal housing with a red finish, this small wah feels solid and stays in place. 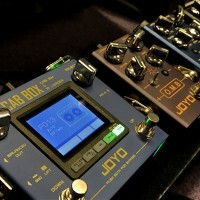 The JOYO multifunction wah pedal has a space saving footprint of 16cm x 6cm. Not too small, just right! 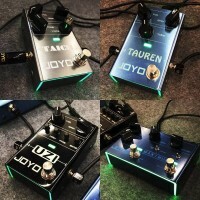 A great pedal to add another level of expression to your guitar playing, from funk to shoegazey, the multifunction wah pedal from JOYO is going to be a must for guitarists who want full control over their wah.. The most recognisable sound of a wah-wah pedal playing is utilizing it in wah mode for a percussive "wacka-wacka" effect during rhythm guitar parts. This is done by muting strings, holding down a chord and moving the pedal forward and back, altering the frequencies from low to high. One of our favourite wacka wacka riffs is heard on Isaac Hayes's "Theme from Shaft". The pedal is not just for the funky electric guitar, try it on an electric violin, an electric Ukulele or plug it into your synths to add some very expressive filtering effects to your tone.